SINGAPORE - Hundreds turned up at Bugis Junction on Friday (May 27) morning as they waited in line for the opening of Singapore's first Pokemon-themed cafe. The pop-up 60-seat cafe, which takes over restaurant Everything With Fries on the mall's fourth floor, will operate till July 31. Among the first to arrive was student Rayner Tan, 18, who joined the queue with his sister at around 6.45am, well ahead of the cafe's opening time at 11am. There were already three other people in line, he told The Straits Times. "We took the first train this morning. To me, the dining experience is more important. 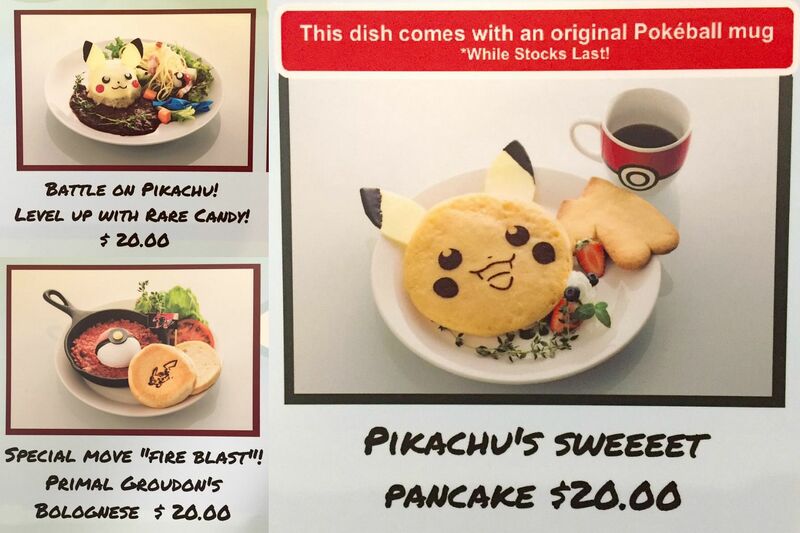 You may want to buy the merchandise, but that does not hold much value to me personally unless you have eaten at the cafe," said Mr Tan, who added that he had been a Pokemon fan for as long as he could remember. "It's my favourite franchise and I'm just really happy Singapore can get something like this. Knowing it's Singapore, I don't want to take any chances since stock could be limited. "That's why I'm willing to get up so early." By 10.30am, the queue had swelled to about 200 people. Cafe staff told The Straits Times that queuing time was estimated to be in excess of five hours, with a sign put up outside the cafe to warn customers of the long waiting time. Candied apples were given out to customers waiting in line. Nanyang Polytechnic students Nicklaus Tan and Nuranie Ahmad Zarkashi, both 19, managed to join the queue only after the sign had been put up and felt the queue system could have been set up more efficiently. "But it doesn't matter and I'll still queue - I'm a Pokemon fan," said Mr Nicklaus Tan. 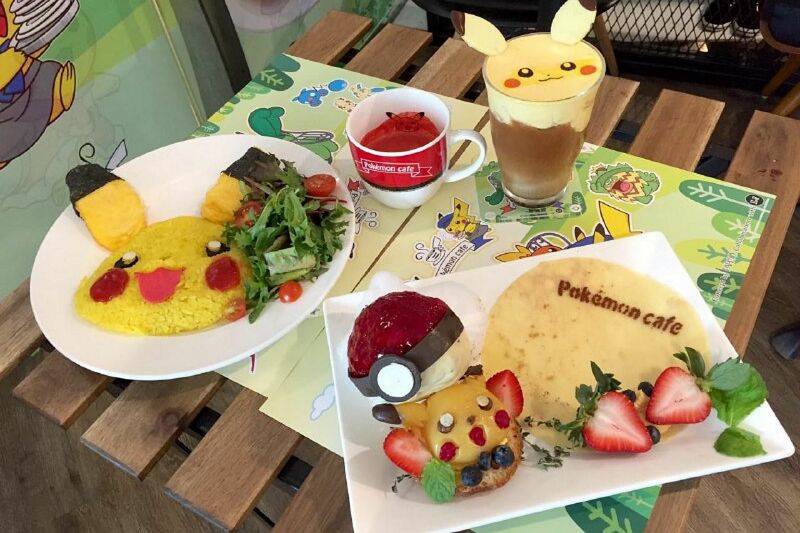 Inspired by a similar pop-up in Japan's Shibuya district that proved wildly popular, the cafe in Singapore features 13 food and drink items on its menu, with Pikachu as the main character. 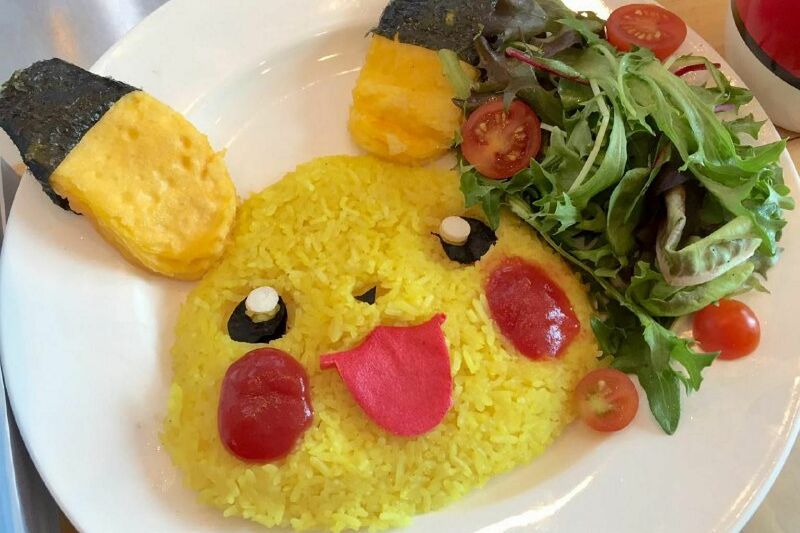 Fans can look forward to dishes such as the Pikachu Smiling Rice Omelette with Magma Sauce that comes with a Pokeball mug, Pikachu's "Thunder Shock" Parfait and a Pikachu latte. Prices range between $8 and $25. Merchandise like tote bags, T-shirts, and key holders will also be on sale. Game designer and self-professed Pokemon fan Delia Phua, 22, took leave from work and was spotted buying Pokemon merchandise at the cafe. She told The Straits Times she spent $368.25 on plush toys, shirts, and notebooks, as well as keychains and can badges for her colleagues. Those lucky enough might also catch a Pikachu mascot, who will visit the cafe occasionally to take photos with fans. Earlier this month, the opening of Singapore's first Hello Kitty cafe at Changi Airport Terminal 3 drew hordes of fans. It is the first Hello Kitty-themed cafe to open round the clock, and has a retail section which sells merchandise featuring the popular cat.